Please come with your current small equipment questions and problems and get ready to see what the future will bring to our power tools. Our speakers for the evening are Brian Bress and Bruce Rauch from Golden Eagle Distribution. 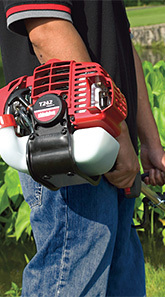 Combined they have over 30 years in the Landscape Power Tool Industry. Golden Eagle Distribution handles distribution in the United States for Tanaka and Shindaiwa landscape power tools. They also handle the Bear Cat line of chippers. They will discuss the care and maintenance of Shindaiwa and Echo power tools to get the most life out of your power equipment purchase. They will also discuss the new technology being developed to increase efficiency, power, reliability, and government standards in emissions. Please join us for a very informative and special evening.